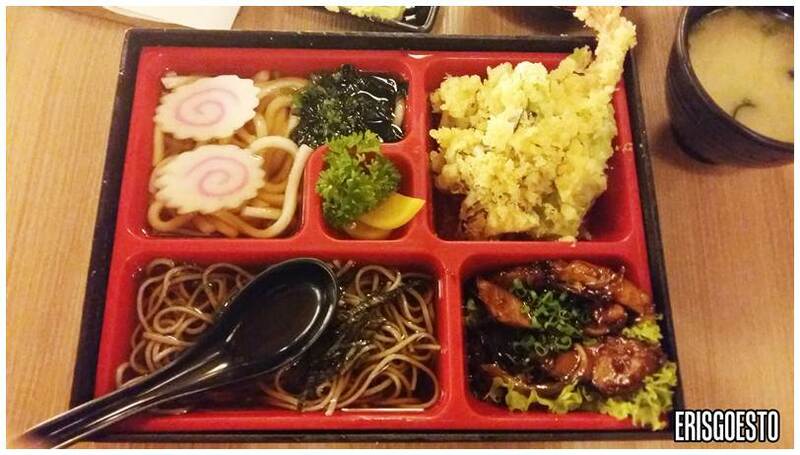 Had dinner with C at this new Japanese resto called Kinjuku that’s been open a couple of months at Setiawalk Puchong. The spot used to be another Japanese eatery but it closed down. The inside is cozy and sports typical Japanese decor with paintings, wooden accents and a sushi bar where the chefs work at the back. 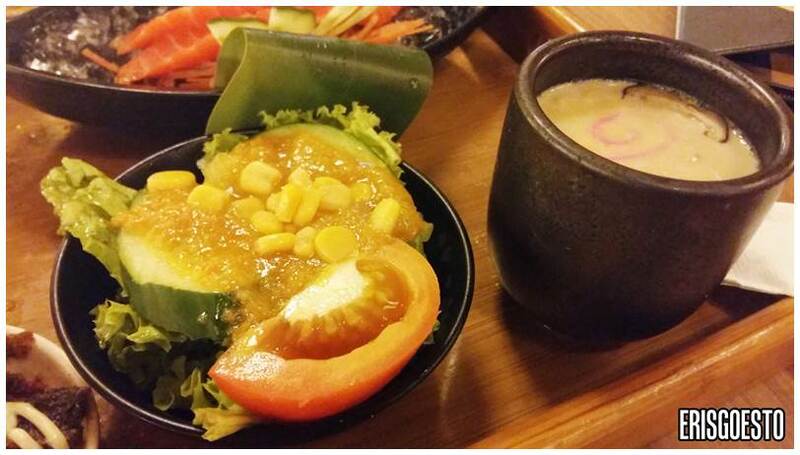 Kinjuku also offers ala carte buffet, where guests can order a free flow of items and have them cook it to order. C had fresh salmon sashimi set, which came with a bowl of miso soup, egg, rice , salad and crispy fried salmon skin. 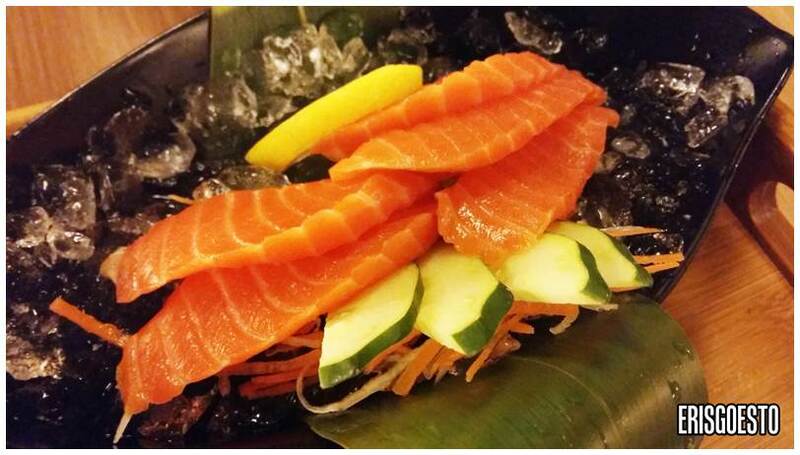 The sashimi was nicely cut, thick and served on a bed of ice. 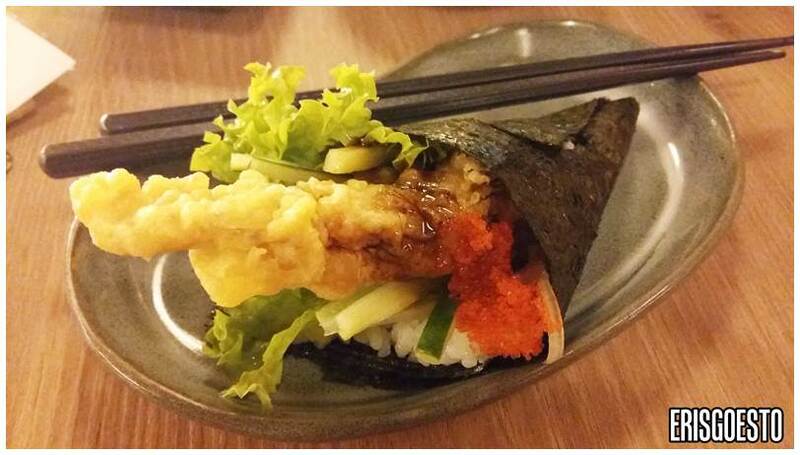 My side order of deep fried soft shell crab temaki. Unlike some places that give you a measly amount of crab, this one jutted out beautifully and ran all the way to the bottom of the wrap.